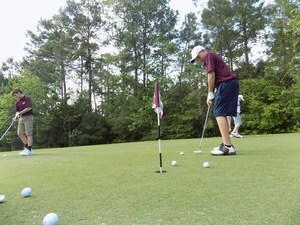 The MJH Golf Team will hold its annual tryout for the boys and girls teams this month. The MJH Golf team will have tryouts on Tuesday, February 27 at the Magnolia High School driving range at 4:30 p.m. The driving range is located behind the natatorium on the MHS campus. Any students (boys or girls) interested in playing on the team must attend the tryout to be considered for the team. For information about the tryout and to sign-up, contact Coach Cowger at ccowger@magnoliaisd.org.